For anyone who works in tech and media, the new year starts with the annual Consumers Electronics Show (CES). In Las Vegas during the first week in January, advancements in technology are introduced and predictions are made for the year. This year, Snapchat was everywhere—literally. Thanks to our partners at Delmondo, we had several Snapchat influencers developing unique content with our filters and encouraging their fans to use it. In just one day, we had over ten million people using our filters! One influencer, Wysamx, collected fan videos on his Snapchat story featuring people from all over the world. While PSAs serve an important purpose, Snapchat engaged our users in a way that watching a 30-second video simply does not. We’re not the only organization that’s seen this kind of success, either. AIDS-fighting organization RED recently launched a partnership with Snapchat as well, with the Bill and Melinda Gates Foundation donating $3 for every branded filter used. For any social impact campaign today, building awareness on social media is critical. Platforms like Facebook, Instagram, Twitter, and Snapchat have unique benefits and purposes. With Snapchat’s audience on the rise, it’s time for non-profits to join Snapchat and start pushing out content. 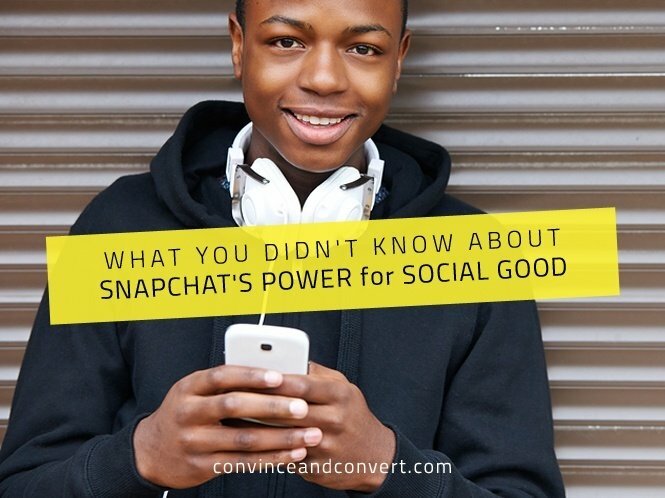 Most marketers aren’t on Snapchat because they assume it’s just for teens. While teens make up a large part of the audience (45%), the users are aging up. According to Comscore, over the last year in the U.S., Snapchat added 25-34 year users (103%) and 35+ users (84%) faster than 18-24 year old users (56%). Snapchat’s own data claims 12% of its nearly 50 million daily users in the U.S. are 35 to 54. Snapchat is also actively courting older users. They recently started an advertising campaign targeting older segments, and the Wall Street Journal is now available as a Snapchat Discover Channel. These are signs that Snapchat is aiming to go mainstream, which means now is the time to join and grow your audience. In a recent Huffington Post blog post by Gary Vaynerchuk, 90% of your Snapchat followers are consuming your content. That’s an incredible stat considering email open rates are around 25%! Users are engaged because delivery is quick on Snapchat (videos can be no longer than 15 seconds), and it’s happening in real time. A user’s story lasts only 24 hours, creating a sense of urgency to open the app and watch the content before it’s gone. Snapchat also complements TV viewing and is winning the attention graph: MTV announced that their VMA Snapchat story attracted more users than the actual TV broadcast! All that great content you capture doesn’t have to disappear in 24 hours. Snapchat allows users to save their content to their camera roll and upload to other platforms. 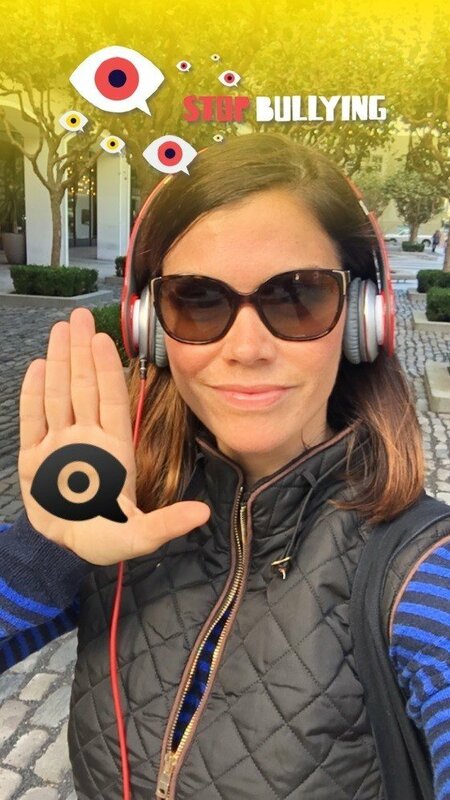 Personally, I’m using my Snapchat handle lauriekeith11 to raise awareness about all the cool things happening in media, including my recent interview with Ari Levine, Business Development lead at Vayner Media. While it’s no longer on my Snapchat story, it lives forever on Twitter. Because Snapchat stories disappear after 24 hours, the content is raw and unscripted, allowing your brand message to stand out and have an authentic voice. It’s also a way to demonstrate creativity. With special filters, writing tools, and emojis, Snapchat allows users to deliver content and connect with their audience in a unique way. The only ad space available on Snapchat is within the Discover and LiveStory content (which you can skip) or through a custom branded filter. Snapchat is still in the process of building their advertising model, and while there are rumors an API platform is being developed this year, the only way to advertise on Snapchat right now is by working directly with their sales team. This is a great time to join because the content you distribute will be consumed without any interruptions, allowing users to really understand the issue and connect with your cause. Snapchat has a one to one chat function, allowing you to speak directly to your consumers and provide them with important updates and information. Now is the time to join Snapchat, grow your reach, and tell the stories that need to be heard. Laurie is the Director of National Media Accounts at The Ad Council.